North Beach is not a spot we find ourselves in very often before 8 p.m. - but on a nice day, a stroll through Washington Square park and a brunch reservation at Park Tavern is a great call. And when we see the 45 person line for Mama’s to the left and the 50 person line for Tony’s Pizza to the right, we usually pat ourselves on the back for our judicious daytime reservation-making. It might not be the best sign that one of our favorite things about Park Tavern is that they take reservations, but to be honest, that’s just what you need sometimes for brunch. A two hour wait for Outerlands is something we only reserve for the most special occasions. 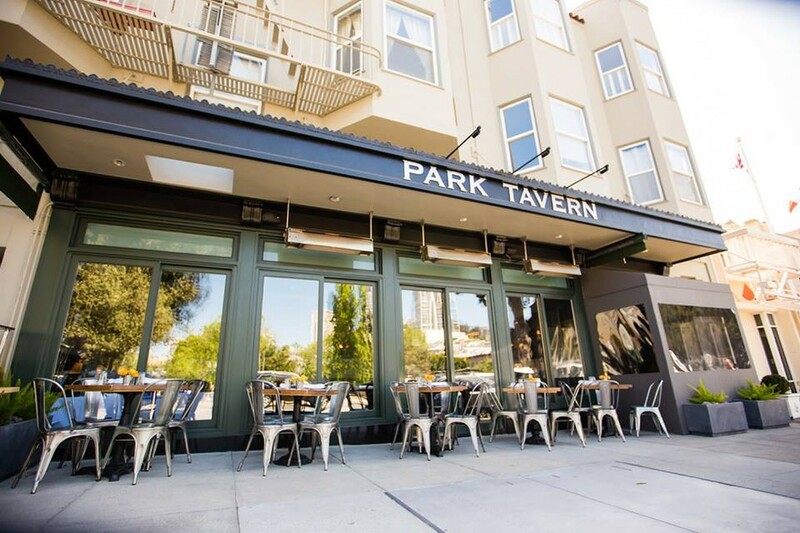 Park Tavern, from the crew behind Marlowe, has an extremely similar menu to the SOMA outpost, but the location by the park makes it a little more pleasant and a great spot to grab brunch with the ladiez. The Bloody Marys are great, they make some killer toasts and eggs, and the vibe inside is understated fancy - tile floors, dark wood, a classy, marble bar. It feels sort of like a rip-off New York establishment, which we aren’t 100% opposed to. There are antlers on the walls. For being a pretty nice restaurant, the service can be spotty. Last trip there, all our plates came out at different times and drinks were slow every round. With that in mind, Park Tavern is definitely designed for a leisurely, slightly decadent brunch that you aren’t going to rush through. Portions are on the small side, so you might just need another order of avocado toast. Or two. The menu gets expensive at night - and there are too many places to eat dinner in this town - so we tend to stick to the daytime hours, especially because if we plan ahead we can get a table and eat an enjoyable brunch without having to drink five cups of coffee killing time. Because when it's almost noon on a Sunday, no one wants to wait for an hour and half to eat carbs and eggs. No one. Avocado and crab for the table. It’s the right choice. This is a beautiful fruit mountain. Get one. Bacon and eggs in a way cooler way than you’re used to eating them. Really tasty. Truffle is catnip for humans. It’s the truth. These cakes with poached eggs, mushrooms and parm are one of our favorite things here. A little small for the price, but excellent. The focaccia it comes with is delightful. Hearty, as you’d expect. The potatoes are somewhat lacking in crispiness which is a shame. Nothing mind-blowing and with just one piece of prosciutto wilting on top. Eh. Per Marlowe, a good burger but not life-changing.